Pol Tarrés in action at “Chengdú” section. For the second year in a row the UCI Trials World Championships 2018 were held in the 5th biggest Chinese city, Chengdu, at Sichuan district. With more than 11 million inhabitants, Chengdu is the perfect place to hold an event of these dimensions. Pol commented that Chinese people are trials fans and last year was the first time they could meet and talk to their idols, the best trials riders of the world. The whole national Spanish team met in Amsterdam to travel to Chengdu all together. The team was formed by 10 riders (2 women, 2 juniors and 6 elites), 3 coaches and a doctor. 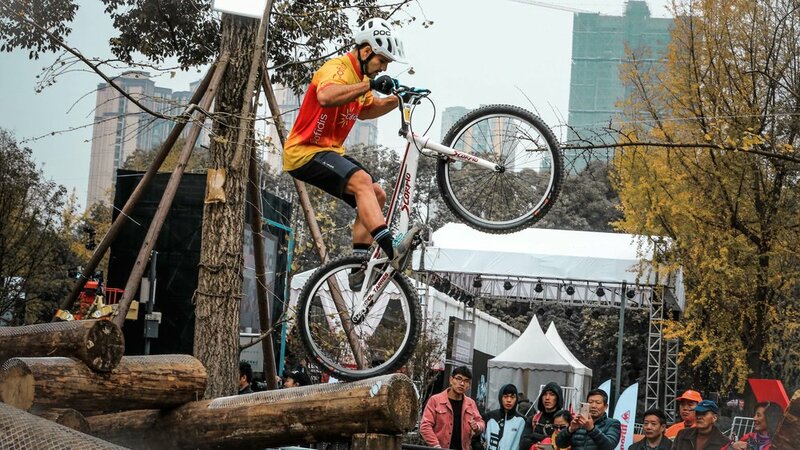 The Xinhua Park was chosen to be the location of the competition and Trials, BMX freestyle and Mountainbike Eliminator disciplines were living together from 5th to 11th of November. The World Championships is the last and most important competition of the year, which will decide who can wear the rainbow jersey of World Champion. For this special occasion Pol worked side by side with Scorpio to design a special painting for the bike. The pearl white and shiny red matched perfectly with Tarrés’ brand new POC Tectal helmet and the national spanish jersey. The semifinals of the 26” Elite Men category started Saturday at 1:30pm. Tarrés started really confident in the sections, you could see he was enjoying the sections and collecting many points. He crashed in the concrete section and he could only get 30 points. At the end of the first lap Tarrés did 180 points and he was the 4th best rider. The second lap did slightly better and he could get 210 points. He was there, 6th position and with the ticket to the big final with one lap left. The last lap Tarrés also did 210 points but he was overtaken by the french Vincent Hermance (3 times world champion), and Pol could not make it to the final. Even he was happy with his performance he did 2 mistakes that kick him out of the finals. Since last year, Tarrés, whenever he travel through international competitions, gives us a daily video in which we can see not only what they do with the bicycle but also their travels, as well as telling us about their experiences. We leave you with the video of day 1, you can see every day on Pol's YouTube channel. Tarrés announced one week before flying to China that he has signed and agreement with POC to be his helmet and protections sponsor from now on. 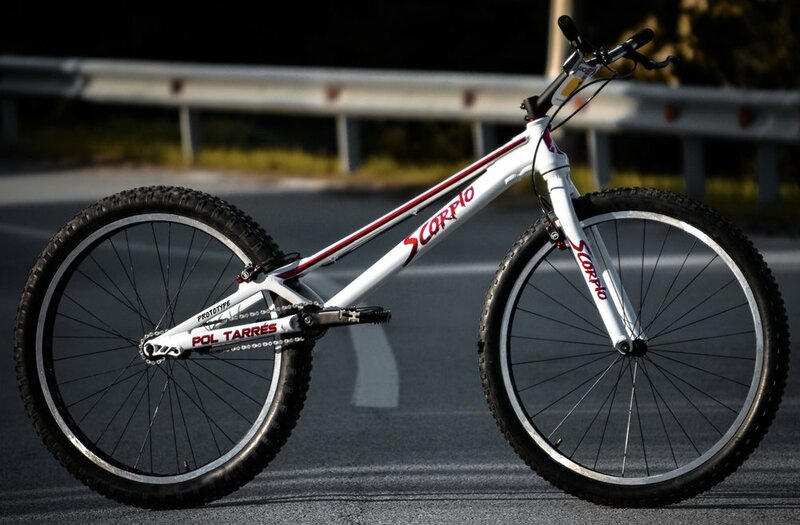 So you could see that Tarrés will ride with POC all the projects and competitions he is involved in, from World Cups to adventures with the enduro bikes. Subscribe to Pol’s blog and don’t miss any update of his bike life!